On the back cover of his book, LCMS Pastor Greg Finke says, “Joining Jesus on His Mission will alter the way you see your life as a follower of Jesus and take you beyond living your life for Jesus to living your life with Jesus.” This book, that has simple, powerful, and applicable insights on being a Disciple of Jesus, is the basis for some training we here at South Shore Trinity are offering. Training on how you can be an everyday missionary, responding to the opportunities God is placing in your path as you live your life. Our hope is that when you cracked the spine of this book for the first time, that you will immediately be struck with how “do-able” Pastor Finke’s approach to sharing your faith actually is--of sharing the Good News with those still needing to hear it. Now we, here at South Shore Trinity, also have the opportunity to learn this simple approach to sharing our faith. As the culture around us continues to change, we are able to see and apply some practices that are actually working at other churches. We are able to learn first-hand effective and fulfilling ways to be neighbors, watching God working on the hearts of those we know and interact with in our community. This past February and March, we had many opportunities to continue learning what it means to be an everyday missionary. Besides the 10-week video series we are offering during the Bible Study hour between services, we had small groups meeting at various times and places to discuss the book. The book is available to purchase in the office. In addition, our Lenten and Holy Week sermon series also were based off the different chapters in this book. We are excited to see what God has in store for South Shore Trinity, as we not only learn more what it means to share our faith with those around us, but to actually see God at work in the lives of those who live around us, as God uses us to further His mission of seeking and saving the lost. **Please note, for legal reasons, this can only be made available to the Disciples of Jesus here at South Shore Trinity, and so it is password protected. The password can be found printed in our Sunday bulletins or by calling the church office at 651-429-4293. Learn what it means to be a disciple of Jesus who joins Jesus on His Mission. South Shore Trinity is offering Greg Finke’s book “Joining Jesus on His Mission” at a discounted rate of $9.00, which can be bought in the office. 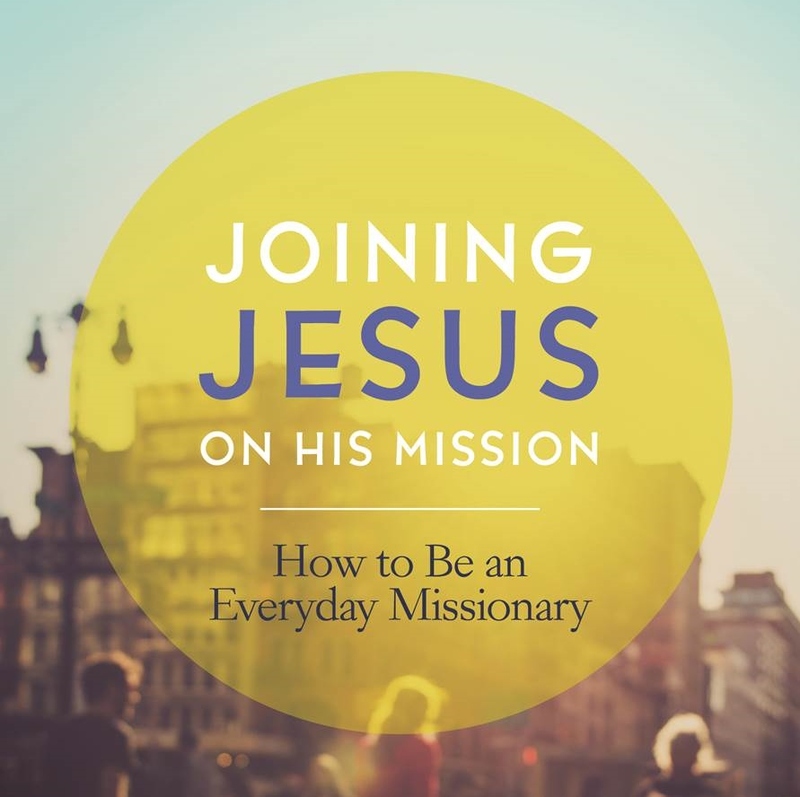 This book helps give you a new approach to sharing your faith, as you learn what it means to be an Everyday Missionary.